A truly luxurious damask wallpaper with a stunning pearlised lustre finish and glitter for a shimmering finish. 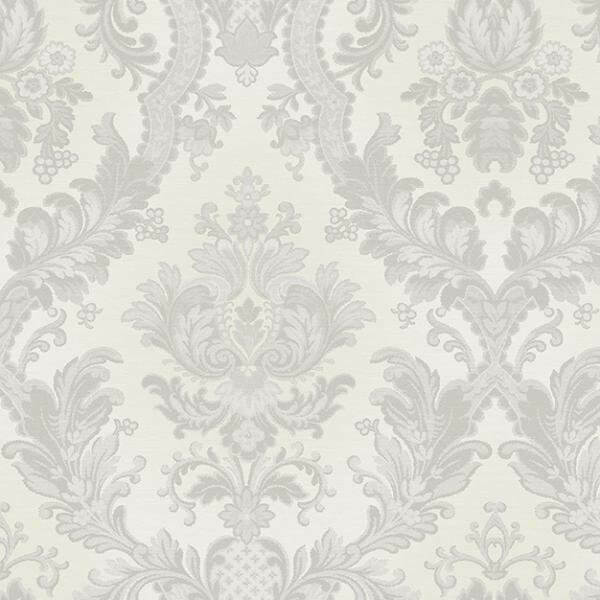 Here in a stunning ivory shade this paste the wall Italian vinyl wallpaper is easy to hang and as a classic design will stand the test of time! Pure luxury is the only way to describe this stunning pearl and silver wallpaper from Ascot Wallpaper. Printed onto the highest quality heavyweight Italian vinyl wallpaper, the beautiful textured detailing on the damask design creates a room of pure opulence, while intricately placed glitter helps to highlight the various tones within the paper. A truly stunning paper which will stand the test of time!